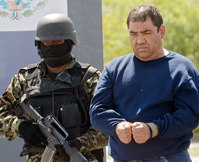 Can violent drug cartels be controlled? Fed by the drug trade with the United States, crime and corruption threaten Latin America as never before, reaching from the highest levels of government to the most-impoverished slums. Once largely focused on illegal drugs, crime cartels have now expanded into a complex range of activities from money laundering to human trafficking. The crisis is prompting both U.S. and Latino experts and policy makers to ask how governments and citizens can fight criminal groups, reduce social inequality and create new opportunities for unemployed young people tempted by a life of crime. At the same time, the United States, which has long been involved with Colombia's fight against crime and drug trafficking, is increasingly concerned about the lawlessness and horrific violence in Mexico, now threatening to spill over into the U.S. While experts say the situation is likely to get worse before it gets better, there are some bright spots, including criminal justice reforms that have reduced crime and corruption in several Latin American countries.